Trying to craft the perfect liquid liner flick can often feel like mission impossible. But there’s a new beauty trend bubbling away on instagram and it’s going to make getting ready in the mornings a little easier/quicker. Yep, gone are the endless hours of struggling to draw on a smooth liquid liner flick… (pause for a moment for a min while we all let out a collective sigh of relief). You start by drawing on a regular feline flick, and but then soften the top of the flick with a pencil brush and a touch of black eyeshadow, to give a soft, blurry, effect, but keep the underside a clean, sharp line. We know, rocking a smoky liner is no new thing, but keeping the base smooth whilst smudging out the top gives it that cool-girl twist. Plus, it means you don’t have to worry about keeping your liner mega-straight, as you’re going to smudge it out anyway, win, win. The best thing about this look is that most of the products you need to do it are probably already sitting in your makeup bag. A black eyeliner – gel works best, but tbh, most formulas can be adapted to suit. If you’re using pencil liner you’ll need a concealer and an angled brush to tidy up underneath the flick and keep it looking sharp. 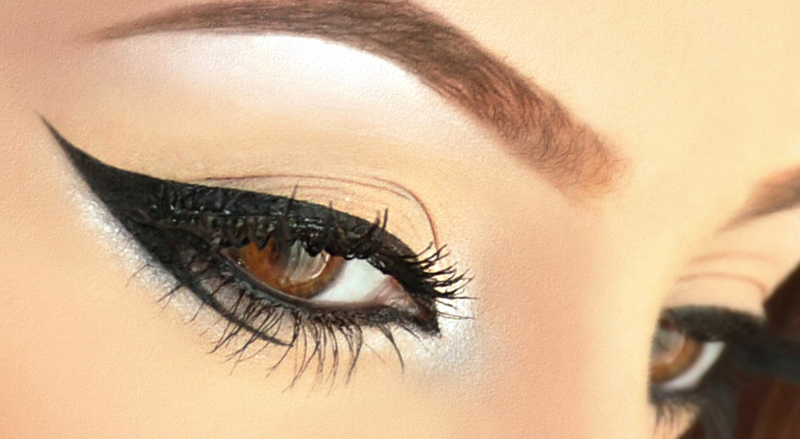 You’ll also need a smudger brush and a matte black eyeshadow on hand, to soften up the top of the liner. Our favourites have to be the Bobbi Brown Long Wear Gel Eyeliner, £18.50, Zoeva’s Luxe Precise Shader, £8.50, and Luxe Petit Pencil, £7.50, and finally the Urban Decay Eyeshadow in Blackout, £14. Yep we’re obsessed with blurred eyeliner, and it seems instagram is too.